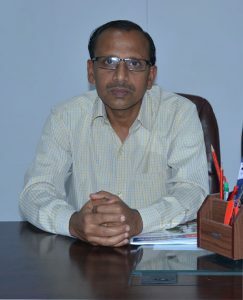 This college is the very best college as per popular choice among the deserving candidates. It gives an immense pleasure and joy to be a part of the best college of nursing in chhattisgarh SHRI CHANDRA NURSING COLLEGE (INST.). 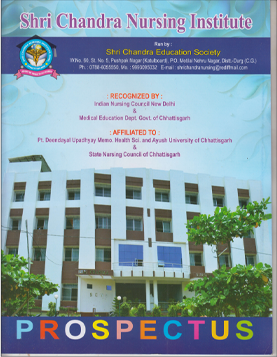 It has been the ambition of SHRI CHANDRA EDUCATIONAL SOCIETY to set up nursing institution at Durg, Chhattisgarh to meet growing need of competent healthcare service personals. It is our objective to strive to our best to provide the best possible infrastructure and create a learning environment.We aspire to develop successful learners, confident individual and responsible citizens. The Institution aims to provide quality education to student without making any discrimination of caste, creed, colour & social status. Shri Chandra Nursing College is the best nursing college of India. Our prime focus is to equip the student with best education and also to build a career.